While those previous WRs are all in need of boosts, Odell Beckham Jr. really deserves his own place on the list after his meteoric rise took him from 12th overall pick in the 2014 Draft to the Pro Bowl as a replacement for Calvin Johnson. 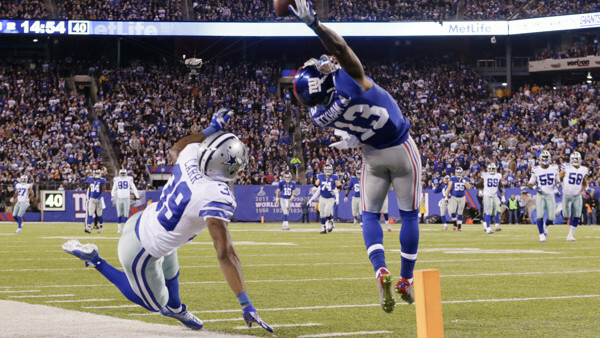 He broke 24 Giants' records for his insane stats, and over 30 NFL records, and his one-handed catch broke the internet on a scale that Kim Kardashian could only dream about. He's rated as 75, but after revealing he was struggling with a hamstring injury during his season, he can only improve. Expect another 10 to be added to the Madden 16 cover star's name.